﻿ If you’re heading to Western Australia for the fishing trip of a lifetime, you’re in for a great treat, as it happens to be host to some of the top angling spots throughout the country. 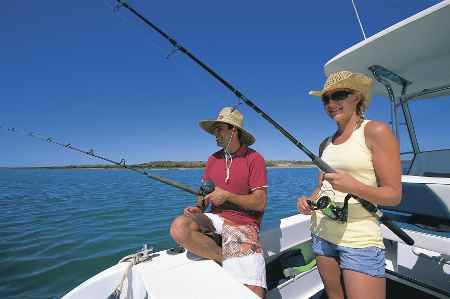 WA’s long and magnificent coastline offers excellent fishing conditions and scenic beauty – an ideal combination for a great holiday with the family or a few mates. And there are plenty of amazing places to drop a line. Head for Walpole for black bream and deep sea fishing, Exmouth for squid and a huge variety of table fish, Rottnest Island off the coast near Fremantle for vast schools of samson or the wild and unspoiled Montebello Islands off the coast from Dampier for mangrove jacks, sailfish and coral trout. Other hot angling destinations along the coast include Kalbarri for deep sea fishing charters in search of huge snapper, groper, dhufish and tuna, Green Head/Leeman for a range of prime category-one fish including dhufish and snapper, the legendary Rowley Shoals (star of many a TV fishing programme) for waters teeming with wahoo, dogtooth tuna, sailfish, coral trout and red emperor and Shark Bay for land-based fishing at Steep Point, Big Lagoon and Turtle Bay or to head out to sea by boat and haul aboard pink snapper, bluebone groper, mackerel, red emperor, tailor and mulloway. 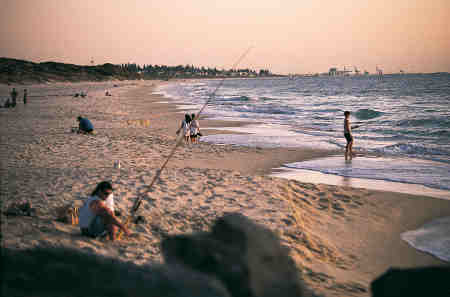 Western Australia also offers excellent river fishing. Catch threadfins, barramundi and 38 other species in the mighty Fitzroy River or head for the Blackwood River for tranquil scenery and plentiful bream and yellowfin whiting. 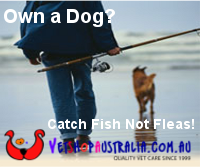 Wherever you’re planning to drop your line in Western Australia be sure to hold off for last minute hotels as they tend to offer the best deals, leaving you more to spend on fishing charters.